If you were in grade school at any point during the 1970s, you probably remember being taught that in the future, the United States would be on the metric system and soccer would be the most popular sport in the country. Teachers were quite certain about it. “This is the way it is in every major industrialized country except the United States,” they would sniff in their supercilious teacherly manner. A funny thing happened on the way to the future. Laws were passed requiring states to put up new highway signs showing distances in kilometers instead of miles, on pain of losing federal highway funds. The deadline for the changeover was set far in the future, probably to protect the jobs of the lawmakers who voted for it. A few years ago the deadline arrived. Today the mileage signs are still there and the laws are gone. Likewise, soccer was aggressively promoted in youth leagues and school athletic programs. When these children grew up, we were told repeatedly, they would love soccer much more than baseball or football or basketball. There could be no doubt that the United States would catch up to the rest of the world, and soccer would be the future king of sports in America. 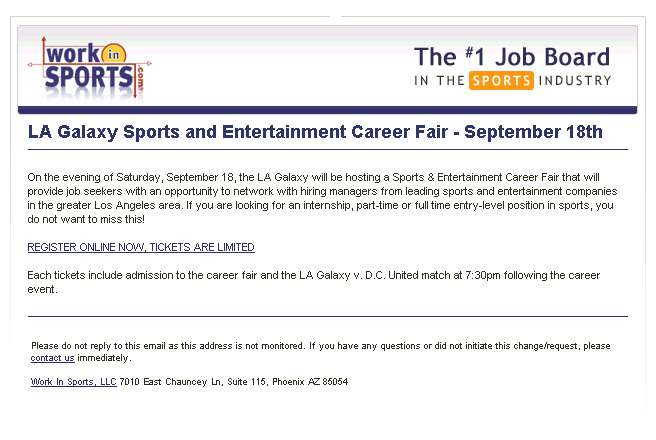 The price of registration for the career fair is $25, and it includes a ticket to see the L.A. Galaxy play D.C. United. Those are Major League Soccer teams, if you’re not familiar with the former future king of sports in America. 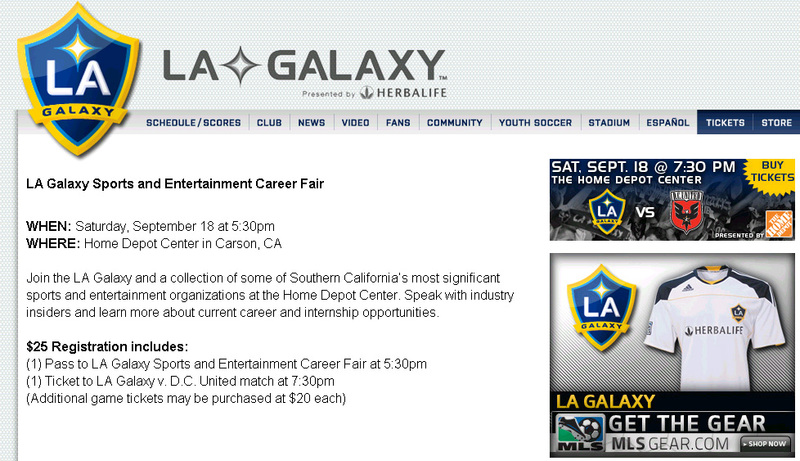 The L.A. Galaxy can’t fill the stadium on a Saturday night. They’ve resorted to the low-down dirty trick of pretending they’re hiring, just to gull people into coming into the building and accepting a free ticket. Unemployment, you see, is very high in Los Angeles, somewhere around 12 percent, and youth unemployment (the job fair is for internships and entry-level positions) is even higher. The California government likes to think of itself as quite progressive. We have economic policies in this state that are common in every major industrialized country in the world except the United States. If nothing is done to stop it, the health care reform law will take effect and soon the United States will have the kind of health care system that is common in every major industrialized country except the United States. Predicting the future is tricky, but we’ll predict this: One day soon, people in public life in America will say the words “except the United States” with pride instead of with disdain. That’s when you’ll know the 1970s are finally over.